Size: 18-20.5cm circumference of the head. The model shown at the pictures is a Gen X 1/4 bjd girl doll. 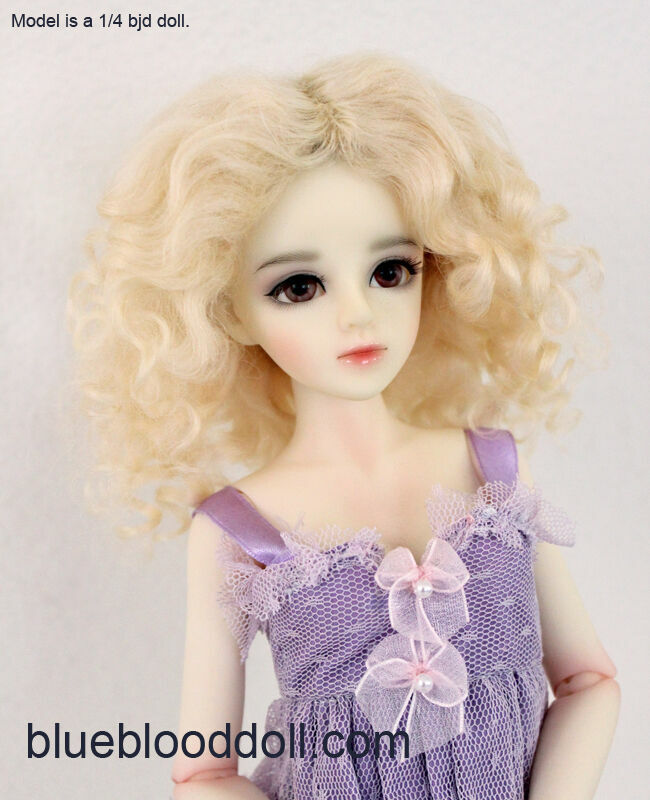 Click the button below to add the 1/4 or 1/3 bjd blonde color curly real mohair wig W-039 to your wish list.